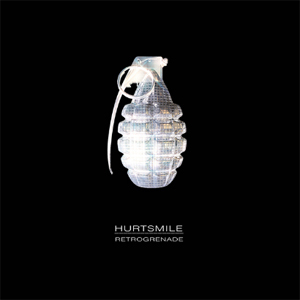 HURTSMILE, the band fronted by EXTREME vocalist Gary Cherone, has teamed up with PledgeMusic.com to release Retrogrenade on June 2 with a public release to follow. The single "Rock & Roll Cliché" is available now as a free download at Pledgemusic.com. Retrogrenade, the follow up to the band's self-titled debut which was released in 2011 pays homage to almost every genre Cherone has presented in the past and still finds room to give you something new. Inspired by their classic rock roots, “It is the collective effort of the Band flexing their musical muscle” says Gary. Diverse tracks include the Aero/DC inspired "Rock & Roll Cliché", the hook laden "Hello I Must Be Going", the epic blues of "Where Do We Go From Here", to the sweet acoustic broken-hearted harmonies of "Goodbye". HURTSMILE rebels against traditional cohesiveness and does not attempt to capture a specific mood. It rather bombards you with a multitude of emotions and challenges you to go along for the ride. "Hello I Must Be Going"
To download "Rock & Roll Cliché" go HERE. For more information on HURTSMILE go to their website or official Facebook page.